It's early morning on an Eve again. I'm the driver's only mate on this accordion, and it's looking again like I'm the only fool in the Region not still sleeping. It's dark enough outside that you could believe it was 11pm or 4am; no hints of light revealing the horizon. But I feel this unique sense of excitement and, admittedly a bit of anxiety, that could only come the day before a new year begins. I've been thinking a lot about intentional goal-setting lately. Not hyper-emotional-doomed-to-fail-by-February-resolution-style. I want to step into 2015 with my eyes wide open, a plan, and grace to embrace the unexpected. I know that the brainstorm I started won't cut it. I read Michael Hyatt's Best Year Ever ebook and among sooo many other things, it's affirmed my thought that I need to actually devote some time for reflection and planning. If I don't block this time out, I am setting myself up for failure, diving blindly into an unrealistic pool of tasks I guess will make me the perfect person by this time next year. I'm excited to begin this exercise. I've never been this intentional on this big a scale before. It's usually an in-the-moment thing. And that's still good, but consciously aligning the smaller moving parts of my year to the bigger picture, a set of goals, a purpose, makes so much sense. Then my One Word (I didn't think anybody else did that, super cool.) won't be a theme that I discover woven into my world in May. It will be something I pursue from the opening of the year to its close. I'm excited to see what that reversal does. I will share what emerges from this process. But first I shall celebrate quietly tonight with my love and my babies (I may even sleep through midnight), then a bit louder with family on Thursday. And then I shall get to work. Happy New Year my friends. 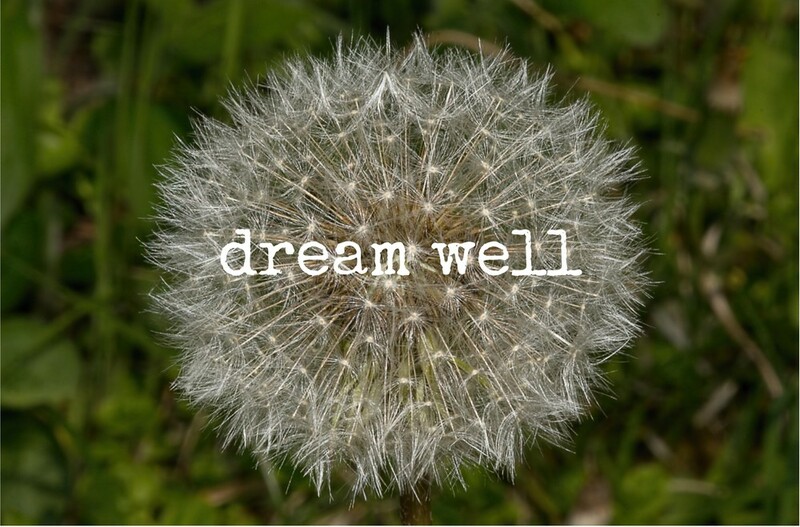 Dream Well.